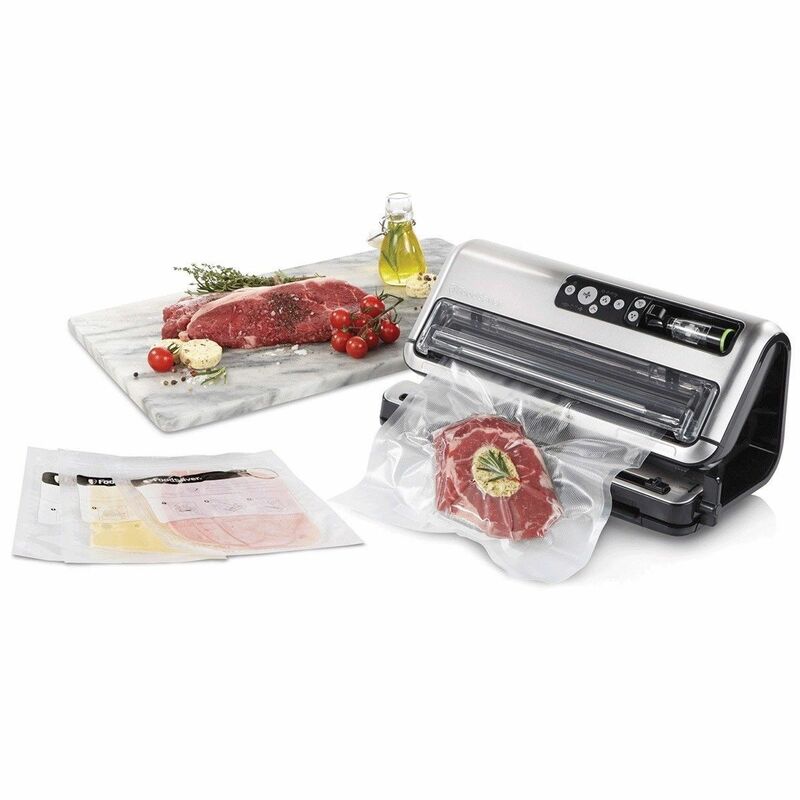 Boasting a range of innovative features, the FoodSaver Fully Automated Vacuum Sealer makes food preservation remarkably easy. The hands-free operation and automatic food detection features reduce bag making and sealing steps by 50% compared to previous FoodSaver vacuum sealing systems. Equipped with separate sealing modes for dry and moist food, the vacuum sealing system can deal with any kind of food. Its automatic liquid detection makes this even easier, switching modes itself when detecting the kind of food. There are also settings for pulses, canisters and even marinating food – meaning you can leave your meat or veg to enhance in flavour without any impairment to its quality. The handy ‘seal only’ mode allows you to seal contents without vacuuming, ideal for quick and easy short-term storage. Even better, the system has a built in handheld sealer designed for use with our range of zipper bags and fresh containers. Proper sealing means better preservation, less food waste and more money saved on your weekly food bill. 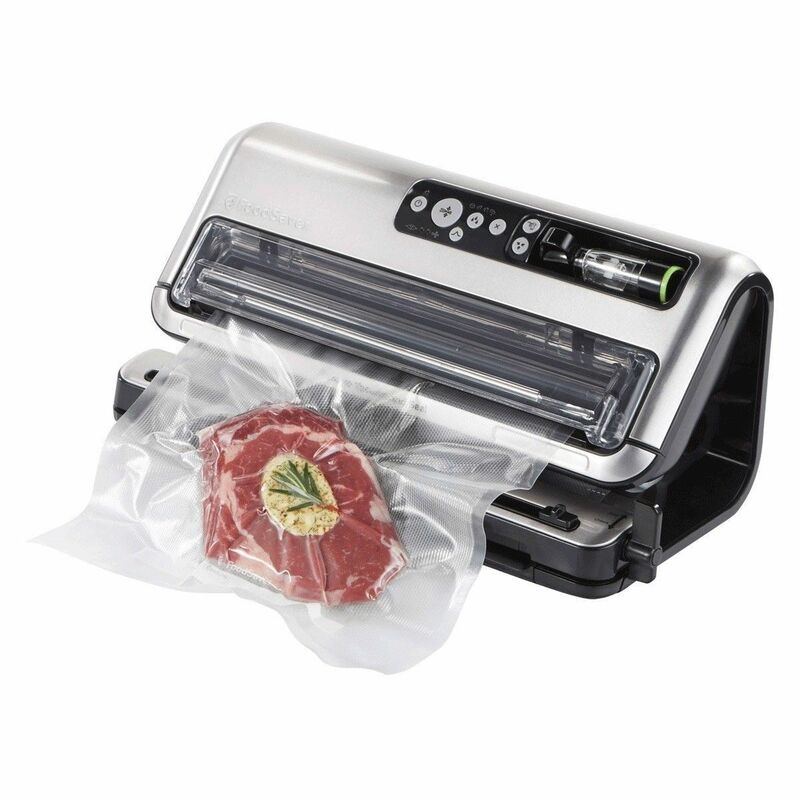 With a sleek vertical design, the FoodSaver Automated Vacuum Sealer is suitable for kitchens of all sizes. Its integrated roll storage and cutter also give you more counter space for the all-important food preparation. In addition to saving space, the system’s hands-free operation saves you all the effort of sealing bags, making for quick, easy and efficient food preservation. Built for convenience, the vacuum sealer uses LED lights to notify you of sealing progress, so you know you’re getting fully sealed food. The dishwasher safe drip tray ensures there is no mess and keeps things easy when it comes to maintenance. There’s even a 2-year guarantee, so you can rest assured your product is built to last and will save you money on food bills long into the future.